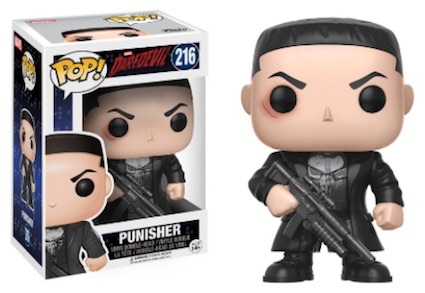 Celebrate the popular anti-hero with Funko Pop Punisher figures. Since his 1974 debut in Marvel’s Amazing Spider-Man #129, Frank Castle continuously fights for justice, but on his own terms. As most fans know, Frank Castle—a highly trained, Marine Special Forces vet—took on the moniker of Punisher after his family was killed by the mob. Like any hero, Castle dons a costume with his new identity, except his outfit is more tactical in nature. 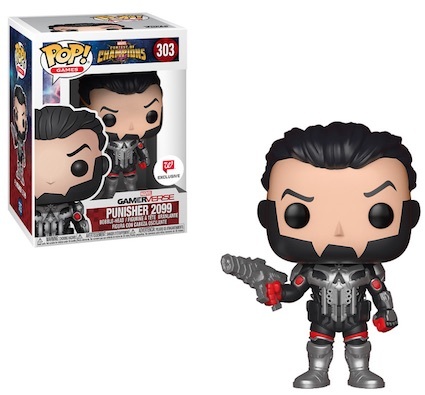 Of course, the skull on the body armor is Punisher's most iconic symbol and each Funko Pop Punisher release includes the infamous insignia. Shop for Funko Punisher Figures on Amazon. 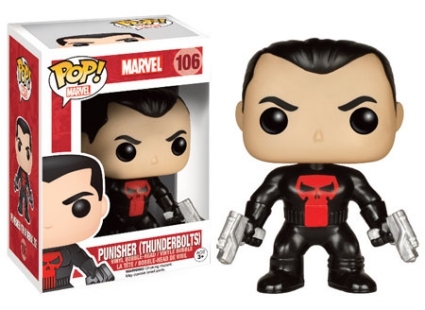 In terms of the overall Marvel list, the initial Punisher figure is issued through Walgreens, as is the Thunderbolts version, which features the vigilante in an all-black costume with a red skull. 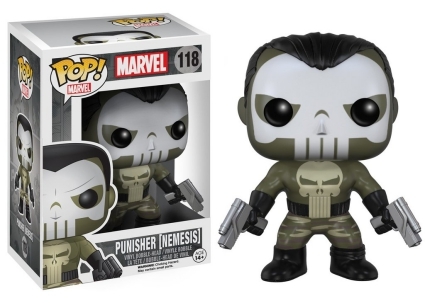 The Punisher Nemesis option poses in camouflage gear with his face painted white, matching the skull logo. 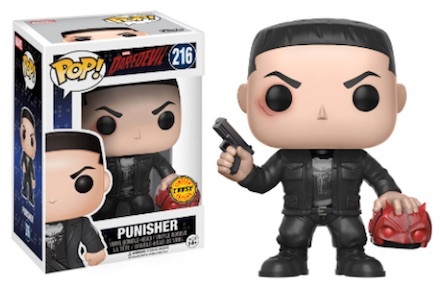 Moving to the small screen, Funko Pop Daredevil TV includes a base figure, along with a limited chase variant featuring Punisher holding Daredevil's mask. Funko POP! Marvel Lot Silk Storm Cyclops Groot Punisher Ms. Marvel Anti-Venom! 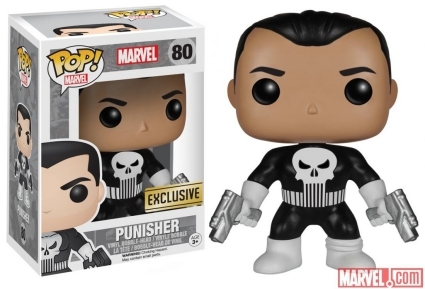 See additional details regarding Funko Pop Punisher figures using our related guides.